Preparing your property for owning a horse is a very exciting time. Whether you are experienced in caring for horses, or this will be your first ever horse, preparing for your horse’s arrival should always be a process you are careful with. 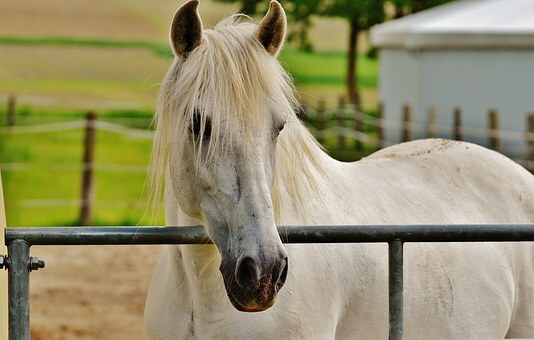 You must ensure you have shelter, water, food, and pasture available for your new horse’s arrival. Your new horse will likely be as excited and nervous as you are at the prospect of moving to a new home. Your horse will be uprooted from his familiar surroundings and companions and placed in unfamiliar surroundings where the water may taste different, the feed may change slightly, and stalls, pastures and shelters may all be in different places. All these changes may make your horse feel nervous and, while horses all adjust differently, there are numerous things you can do to make your horse feel right at home. One of the most important things you need to do in preparation for your new horse, is ensuring your horse has a shelter that is safe and comfortable. Ensure you have a suitable horse stable that is hazard-free, sturdy and in good repair. A particularly nervous horse may try to jump over the stall door or barge through a fence to escape his new surroundings, so a secure stable is essential for those first few days. If you would like to know more about horse stables, Prime Stables Ltd specialise in handcrafted stables for horse throughout the UK and we can advise you on the best stable for your property. Find out more about our selection of horse stables, here. Having a suitable pasture available for your new horse is essential, as it gives him a space to run around and get rid of that pent-up energy. To prepare the pasture for your horse, ensure it is safe by removing any hazards or dangerous objects such as nails, bricks, stones, exposed wire or glass. Checking your pasture for any hazards is a great way to ensure your horse is safe and it reduces the likelihood of your horse suffering an injury while out at pasture. Horses drink a whopping 8 to 10 gallons of water a day, so if your pasture does not have a stream running through it, it is important that you set up a water supply. You can use a bucket but you must ensure it is kept full of clean water. Alternatively, you can set up a stock tank specifically designed for horses. If you suffer with particularly cold winters, it can be beneficial to buy a child’s plastic ball and put it inside the stock tank. This may seem like an odd suggestion but it is an extremely effective way of ensuring the water does not freeze. Top Tip: Do not use old metal bath tubs as stock tanks as they have sharp edges and rust can get into the horse’s drinking water. When a horse is introduced to its new surroundings, it can take a while for them to adjust – sometimes even a couple of days. During this time, it is important to be patient and let your horse work out his new surroundings in his own time. However, to help the process along, why not give your horse a tasty treat? Having a stock of treats, such as molasses or applesauce, available can be a great way to entice your horse into trusting you and it can help ease him into his new home gently. This may seem like an obvious point, but your new horse will need to eat something and you have to have food available in order to feed him. Naturally, as you get to know your horse and understand his needs, you will learn his food likes and dislikes. However, there are a few basic components of a horse’s diet that you must ensure are available to your new horse. Chaff: This is a feed often used to prevent a horse from eating too quickly. So, if you discover you have a greedy guzzler, use chaff to help him slow down his eating habits! Hay: Perhaps the most obvious food choice for horses, but also the one you must take the most care over choosing. Horses like to eat hay as it helps keep them warm (so they tend to eat more of it during colder months). However, when buying hay, it is important you choose a selection that is nutritious – grass hay is a great option! Pellets and Grain: These are very beneficial to have in stock for horses as they help your horse to put on weight and successfully maintain it. If you discover your new horse seems sluggish and in need of a boost of energy, pellets and grains are the best option. It may be that you already own a few horses and are looking to add a new horse to the herd. Different people approach introducing a new horse to a herd. However, I have written my advice in an article all about introducing a new horse to a herd which you can read here, if you would like more information. Horses are herd animals and they love having companions. So, having companions around for your horse can help him settle into his new environment easier. However, expect some nervous moments as everyone settles down and the pecking order is worked out by your horses. Top Tip: All new horses should go through at least 30 days of quarantine before being introduced to a herd. However, you can let them socialise from a distance. I hope the above steps have been helpful in preparing for your new horse. Whether you own horses or not, preparing for a new horse is a worthwhile process and really isn’t as hard as it may seem. Once your new horse has arrived, give your horse the time and space to explore his new surroundings and familiarise himself with his stable. Once he’s had some time to settle in, it’s time to start building trust. Grooming your horse is a great way to bond with your horse. Learn more about grooming your horse, here.